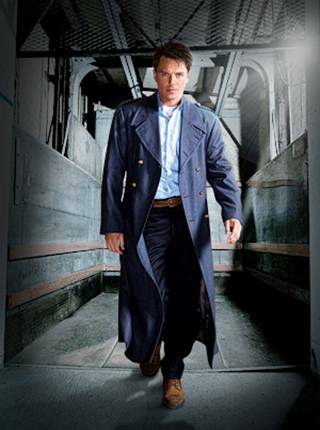 With Torchwood: Miracle Day taking the show from Wales to Los Angeles for the series' fourth season, it makes sense that the lead character, Captain Jack would trade in his wool trench coat for something a bit more climate appropriate. It’s definitely lighter looking and the navy blue does give it a sort of military look though, which is fitting give Jack’s history. What do you think? Does the new look work or should they have let him sweat it out in the wool one? 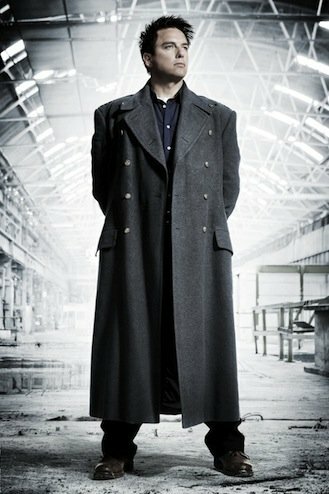 Torchwood: Miracle Day set to premiere on STARZ on Friday, July 8th at 10pm ET/PT.